Many retailers are announcing plans to stay open on Thanksgiving Day—which is being dubbed "Black Thursday." 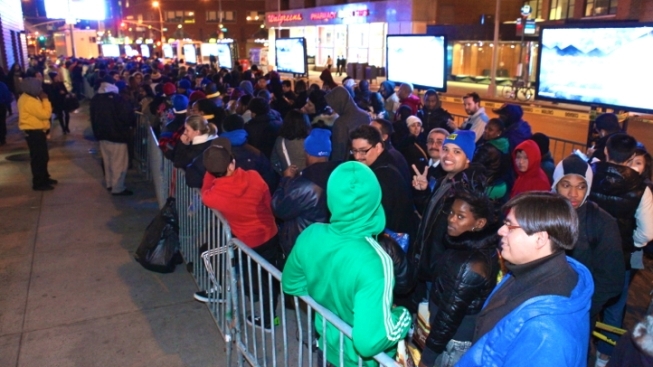 Shoppers keen for Holiday bargains can now start early Thanksgiving day. Editor's note: This story was published in November 2012. More and more retailers are announcing plans to stay open on Thanksgiving Day in 2012, WWD reports. Marshal Cohen, a chief industry analyst at consumer market research firm NPD, told WWD that half of the typical 12 percent of consumers who turn out for Black Friday deals expected to shop the day before—which is being called "Black Thursday" (or, as we prefer to call it, the Holiday Formerly Known as Thanksgiving). Last year, stores that opened doors earlier saw as much as a 22 percent sales increase, while stores that remained closed lost as much as 8 percent. Among the retailers slated to stay open on Turkey Day are Target, Wal-Mart, Sears, KMart and—for the first time—the Fifth Avenue Lord & Taylor flagship. Gap stores are offering particularly long hours, inviting shoppers for bargains and deal-hunting from 9am to 9pm. Of course, while executives eagerly await a sales bump, some employees are voicing concern. Wal-Mart worker, Mary Pitt Taft, wrote that "while millions of families plan to spend quality time with their loved ones" during the holiday, "many Wal-Mart workers have been told we will be stocking shelves and preparing for doors to open at 8 p.m. on Thanksgiving night."